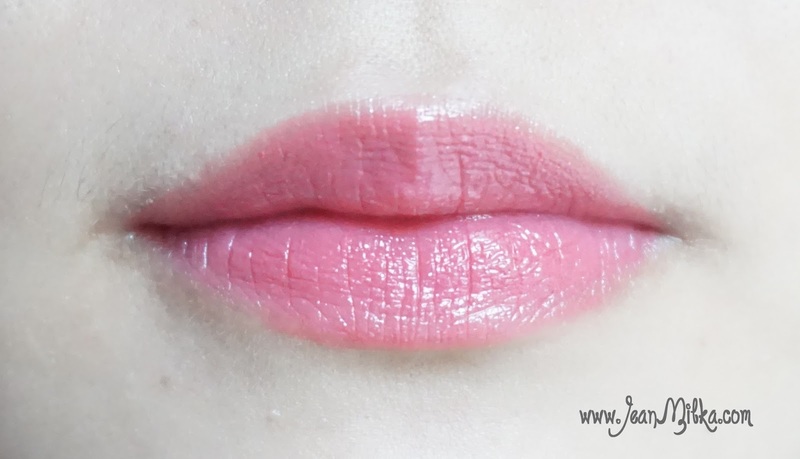 Another lip product review is here. Finally have time to blogging again after suffer from slow internet connection and my freelance job here and there. 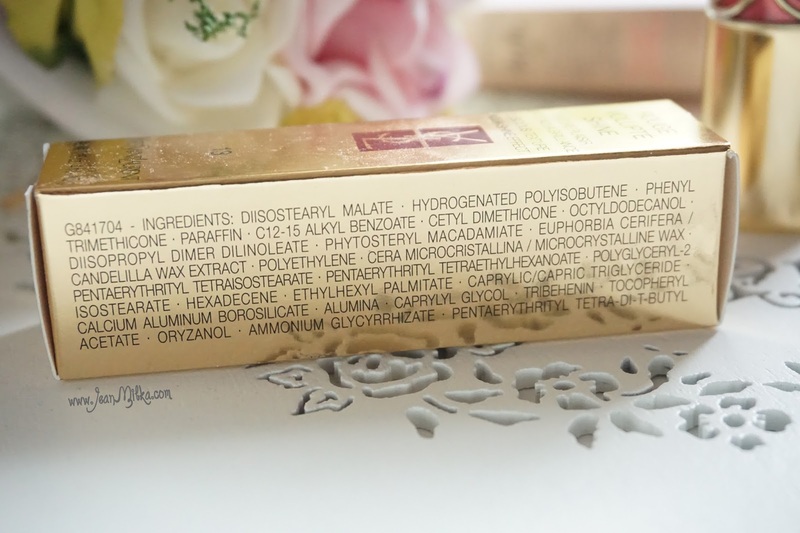 Today I want to share to you one of my most favorite lip product. This is the first lip product I got from YSL, and the beginning of my new obsession of YSL lip product. 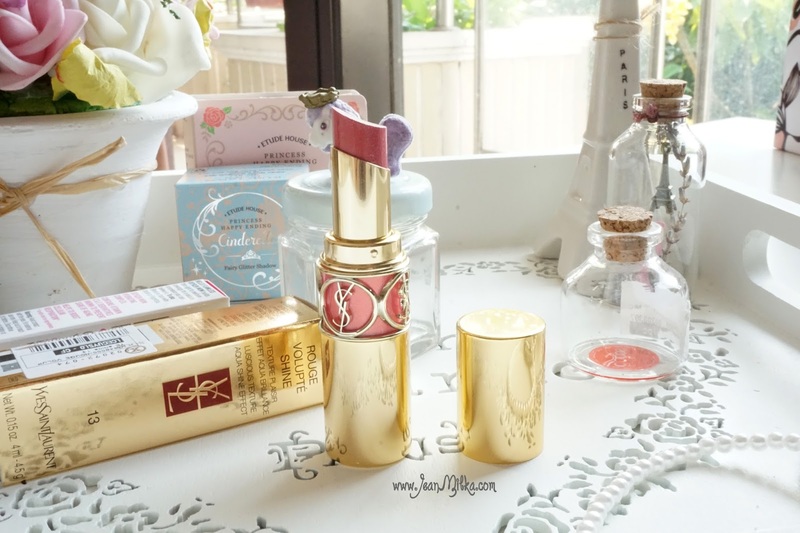 YSL lip product is definitely on the pricey side, but it worth the price I can tell. 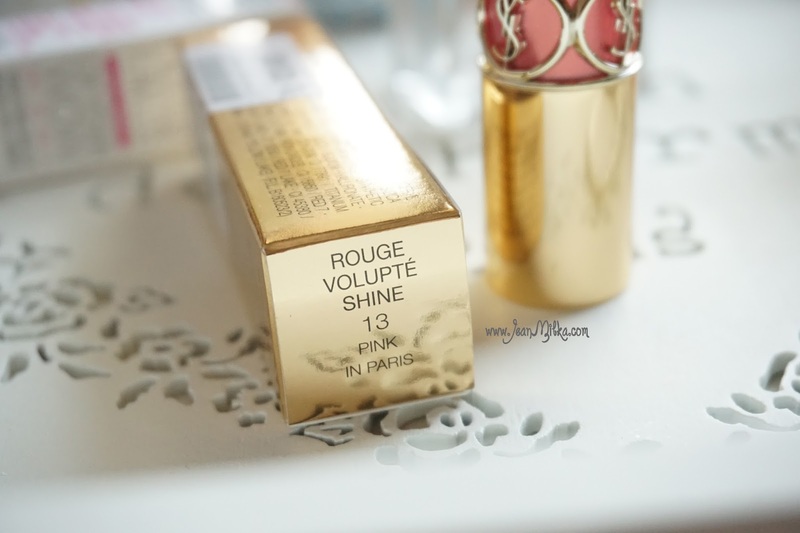 My first YSL Lip product is Rouge Volupte Shine in Pink in Paris number 13. I got mine from SOGO, Mall Plaza Senayan for about 225.000 IDR which is 50% off from the normal prize (original price is about 450.000). There was a promotion going on that time, and I am glad to splurged myself on this lipstick. The packaging pretty much speak the price. With gold metal canister, YSL Rouge Volupte lipstick looks luxury and high end which is a perfect companion for your clutch. You can see the shade color through the little band around it, encased in YSL Design. 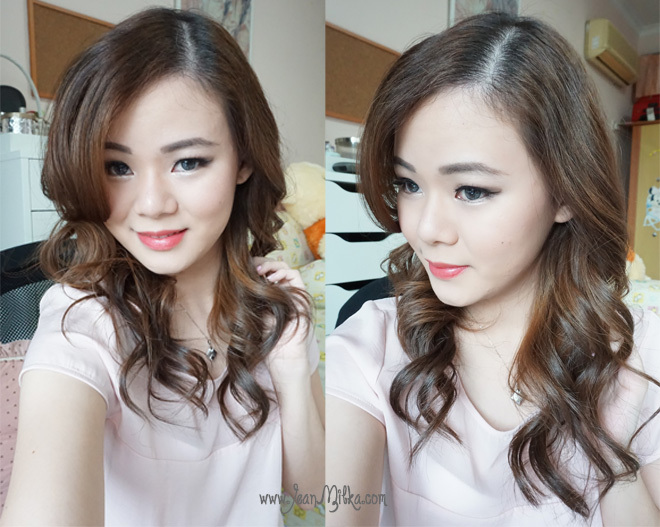 Pink in Paris number 13 is a beautiful rose pink shade that is gorgeous for everyday color. The color is very opaque. 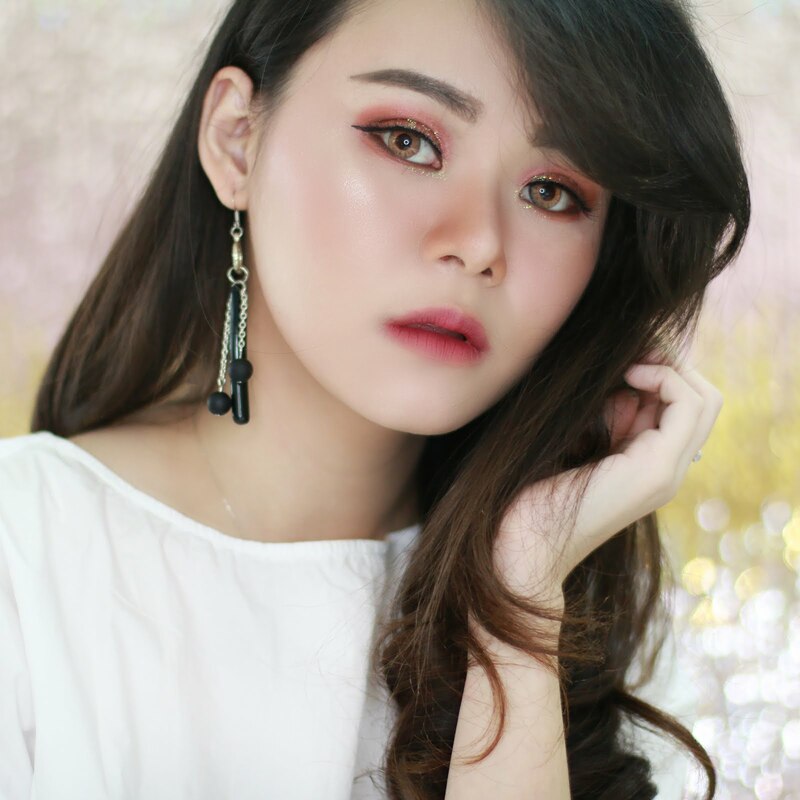 You will only need one layer of the lipstick and it looks good. There is a lot of product inside the canister, you will only need a very small amount so it last for a long time. 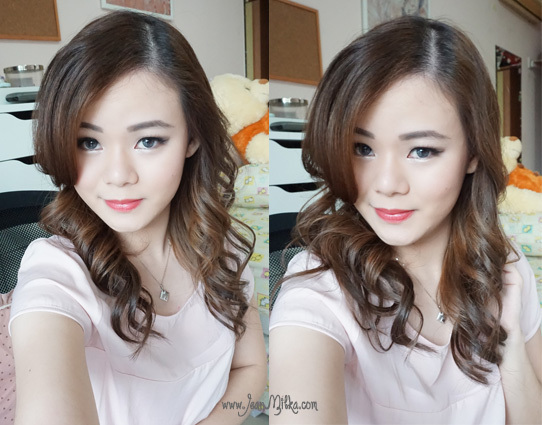 The texture is creamy finish, beautifully soft and butter like on the lips. 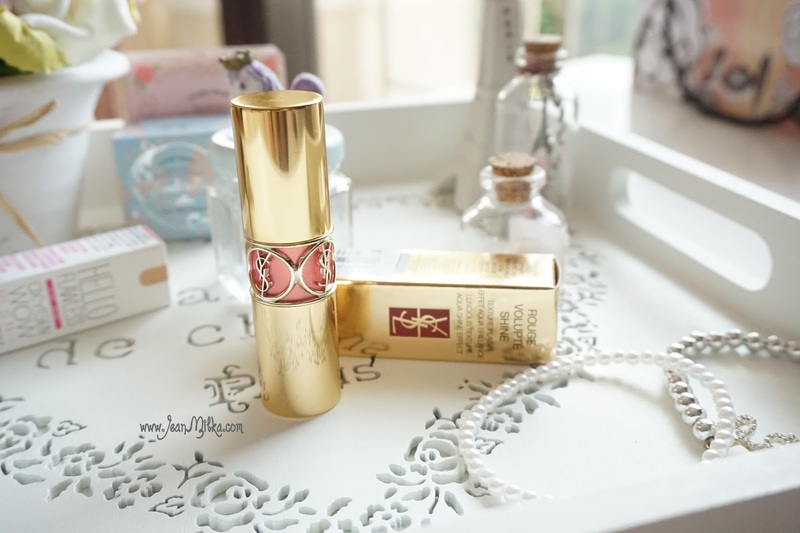 Its very moisturizing, this is the lipstick I used last time I went to Hong Kong during the winter season and it helps to keep my lips moist. One thing I love so much about YSL lip product is the scents. it has fruit scents *maybe mango* on it. Talking about lasting power, it last for about 3 - 4 hours. It fades out after food and drink but I don't mind to reapply since I really like the scents. I have nothing to complain about this product, I just love it so much. The only down side is the price but yeah, you get what you paid. 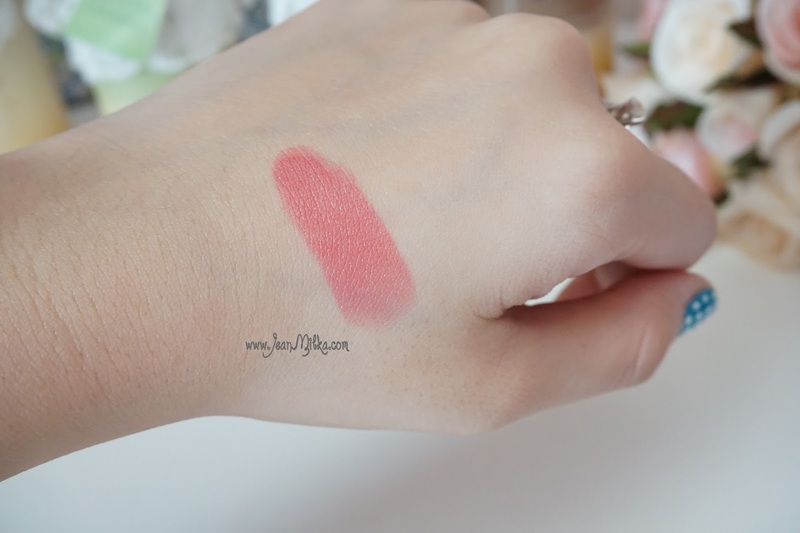 8 komentar on "YSL Rouge Volupte Shine 13 Pink In Paris Review and Swatch"
ciciiiii seriusan ini disc 50%? mauuu :""""
Ada promo gt sich. Jadi aku dapat voucher belanja gitu, dan untuk pakai vouchernya harus belanja 2x lipat dari harga voucher. Jadi kurang lebih seperti diskon 50%. aaa so lucky...!!! pengen banget uff..! !